Satellite photo of Batangas City. Image credit: Google Earth. This article is part of a series featuring historic and folkloric trivia about the barrios of Batangas Province. For this instalment, the focus is on the by-now city of Batangas. All information contained in this article has been taken from documents required by the administration of President Elpidio Quirino back in 1951 of all Department of Education districts around the Philippines to help reconstruct local histories destroyed because of World War II. If your barrio is not included, it could be that a) it was part of a bigger barrio back when the documents were collected; b) no document was written for it; or even if there was c) it had been eroded by time and was not digitized by the National Library of the Philippines, where all these documents are now archived. Dela Paz is a remote barrio along the coast south of Mount Talim. Its old name was “Dalasa.” The entire barrio used to be owned by the Spaniard Jose Rea, who had a Filipina wife whose name was Eugenia Iturralde. The wealthy owners had a temple built in the barrio where a fiesta was celebrated each year. Dela Paz Pulot used to be a sitio of Dela Paz. According to folklore, the name “Pulot” was supposed to have been given to the barrio because of an incident which the residents allegedly witnessed. Supposedly, there was this large tree in the middle of the barrio from which hung a beehive. The barrio’s inhabitants wanted the tree cut down for lumber and to extract the honey from the hive. While it was being cut, the honeycomb supposedly broke and honey started to flow down onto the barrio. From then on, the place became known as Dela Paz Pulot. Dela Paz Pulot was so named after a beehive. Image credit: Dreamtime.com. The two barrios used to be just one barrio named Haligue. The name, which means “post” in English, was supposed to have been given because of a giant rock on nearby Mount Talim which to old inhabitants looked like a post supporting the mountain. The barrio to the southeast of Poblacion Batangas City which is called Ilijan was established in 1865. Among the barrio’s original settlers were families with the surnames Claro, Jimenez, Sanchez, Manguerra, Evangelista, Goot, Baja and Furto. The barrio's name was supposed to originally have been “Iluhan” after a sugar mill that the Spaniards erected in the Barrio. A primitive sugarcane crusher during the early American colonial era. There must have been something like this in Ilijan with the sugarcane mill was still there. Image credit: University of Michigan Digital Collections. Lilinggiwan was probably named after the vine hinggiu-kalabau. Image credit: Philippine Medicinal Plants. Barrio Lilinggiwan used to be a sitio of Ilijan. Its name was supposed to have been derived from the “hinggiw,” a native vine used as rope which used to be plentiful in the barrio. This vine in most likelihood was the hinggiu-kalabau, also a medicinal plant with the scientific name streptocaulon baunii1. Mabacong or Mabakong as the name of the barrio is contemporarily spelled used to be called Matuko. The old name was supposed to have been because of the proliferation of geckos (tuko) in the area. 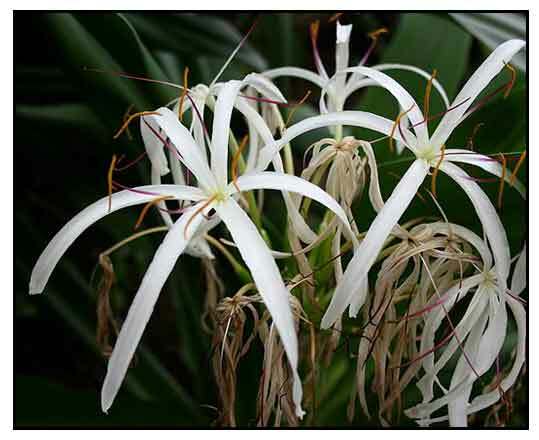 Its present name, meanwhile, was supposed to have been given because its earliest settlers found thick plants called the “bakong.” The plant was probably the spider lily, with the scientific name crinum asiaticum2. Mabacong was probably named after the bakong or the spider lily. Image directly loaded from Philippine Medicinal Plants. According to folklore, this barrio used to be a forested area that was once visited by Spaniards. Some of the visitors got off their boat to investigate the forest and found an abundant supply of “pagkit” or beeswax, a type of wax naturally produced by honey bees3. The Spaniards kept returning to harvest the beeswax and soon were employing Filipinos, who would settle the area and found a barrio. The settlement would come to be known as Pagkilatan or the source of the “pagkit” or the beeswax. Pagkilatan was named after beeswax. Image credit: R Devine Organic Skin Care. Pinamuk-an used to be called Pipisikan. The barrio was initially settled by three families: the Villenas, the Hernandezes and the Alcantaras. These families built their homes on the eastern side of the barrio because then, the western side was swampy and dense with mangroves. In time, the swamps dried up and the mangroves were cleared, allowing more families to build over the western part of the barrio. The barrio of San Miguel used to be known as Sirang Lupa. In 1949, supporters of Dr. Jose P. Laurel’s presidential bid retreated to the hilly part of the barrio after the so-called Batangas Revolt. Feeling that Laurel was the legitimately-elected President, supporters attacked government establishments in the Poblacion until pursued by forces of the Philippine Constabulary. The “rebels” were under the command of one General Francisco Medrano. The Presidential Elections in 1949 led to the so-called "Batangas Revolt." Both pictures above in the public domain. According to folklore, this barrio’s name was taken from the brook which ran through it. The name of the brook was Saim-sim. One day, an American srranger was supposed to have passed through the barrio and remarked that the Saim-sim brook was very long. It was from this supposed even that the barrio became known as Simlong. Initially, Simlong was a mere sitio of Pinamuk-an, until it separated in 1900. According to folklore, a company of Spanish soldiers on their way to Lobo paused to rest in the barrio and prepare their meals. It so happened that they stopped to rest under a big tree that stood out surrounded as it was by hectares of the reedy grass that is called talahib in Tagalog. 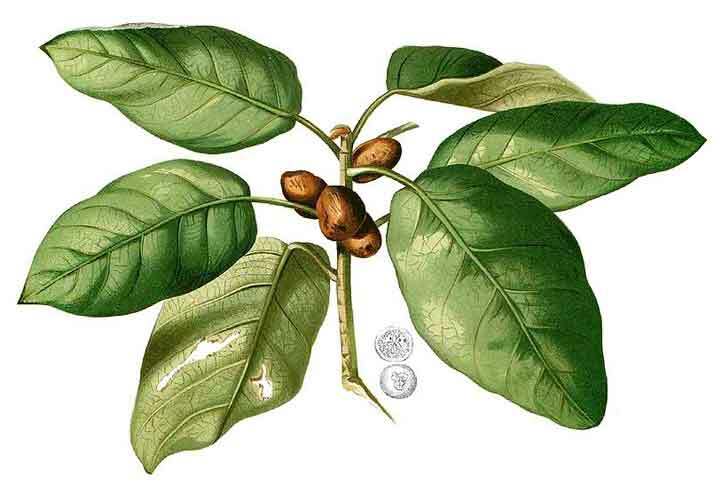 The name of the tree was payapa. If you do a google search, the search engine will think you made a typo and show you pages of entries showing papaya instead of payapa. There is such a tree, however, and most reader will probably recognize its more common name balete. To return to the folkloric story, the decided to give the place a name and called it Talahib Payapa4. The payapa tree, also more commonly known as the balete tree. Image directly loaded from Philippine Medicinal Plants. 1 “Hinggiu-Kalabau,” online at Philippine Medicinal Plants. 2 “Bakong,” online at Philippine Medicinal Plants. 4 “Payapa,” online at Philippine Medicinal Plants.